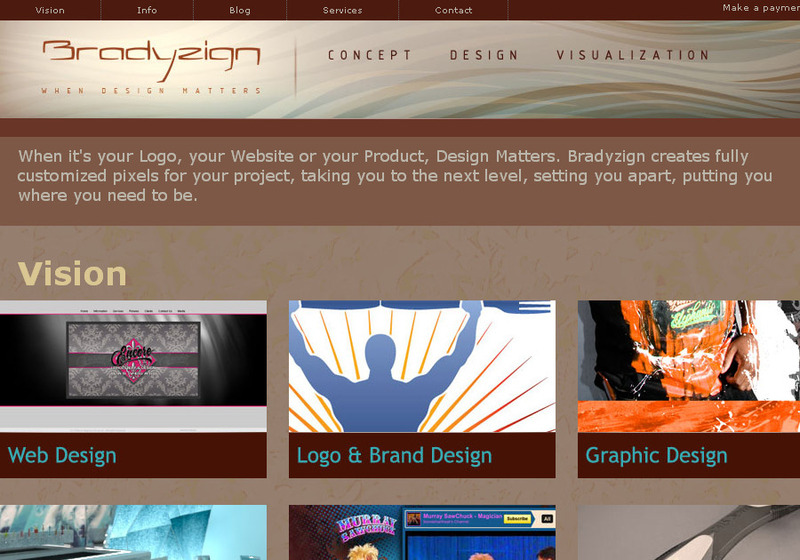 Bradyzign is a high quality design service helping clients increase sales by improving their visual appearance. Dedicated to coming up with the right solution for your design needs, Bradyzign works hard to make sure you look your best. Your project will be completed to the highest degree possible because quality is the most important factor for all projects, you can be sure you are getting the best value for your dollar. When you've got a great idea to present, it should look amazing. When your website needs to be current, it should be awesome. When you need a logo that represents your business or product, it should be professional. Specializing in bringing your vision to life, Bradyzign uses the latest tools and technology to put you on top of the rest. Whether it's a rendering, website or video, your message should be commanding with great design. Since 2009 Bradyzign has been Independently owned and operated in Las Vegas, You will be working with somebody face to face and online making the development process flexible and easy. Communication is key, so you can be sure your projects will be done to your satisfaction. Helping you improve your visual appearance!